Is Nessy the Apex version of the Fortnite llama? In a setting as unique as Kings Canyon, Easter eggs are bound to appear as players battle across the map. 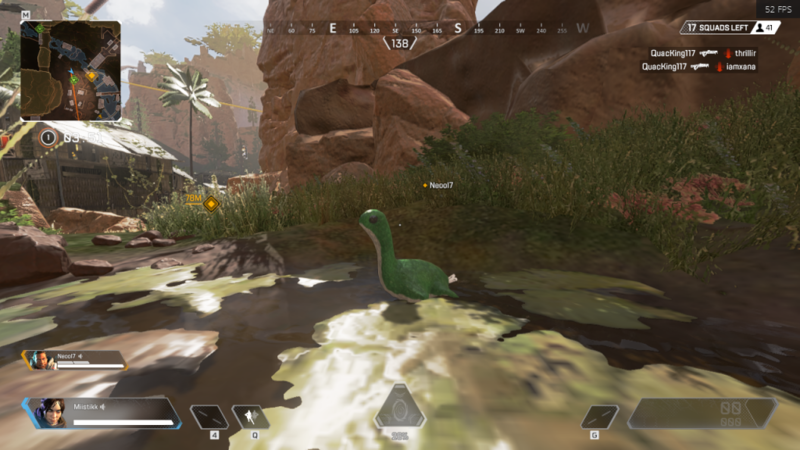 One recently-discovered Easter egg gives players a glimpse of the mythical Nessy creature. 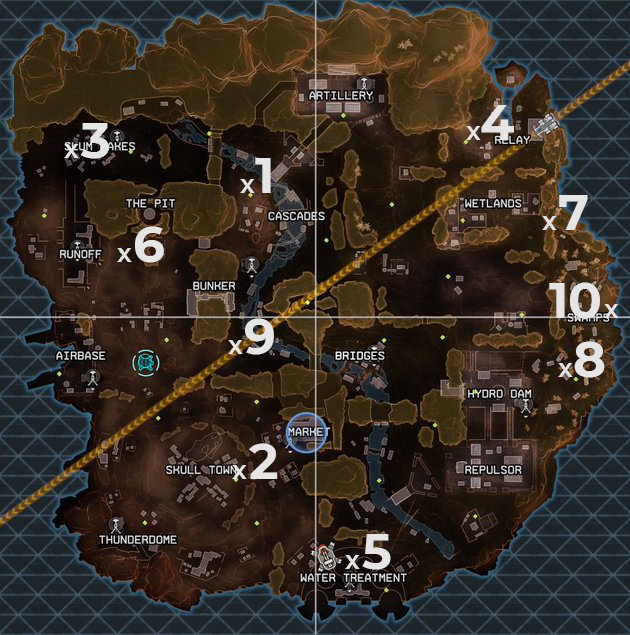 But in order to trigger the event in Apex Legends, players will have to find miniature Nessy creatures throughout the map and shoot them in the correct order. To execute the Easter egg, be prepared to have a full team willing to cooperate. There are 10 Nessy monsters hidden throughout the map, only appearing after the previous one was shot by a player. Since they’re spread across the entire map, you’ll need to work together to shoot the Nessy monsters in the correct order before other players kill you or the circle closes in. Once the 10th Nessy is shot, a giant one will spawn in the ocean to the east and slowly move toward the shore. Here are the 10 different locations of the miniature Nessy creatures. Given their distribution across the map, it’s ideal to split the map into different quadrants and have individual players shoot a selection of the Nessy creatures. One way to organize the Nessy hunt is to have one player cover spawn points one, three, and six, while a different player shoots two, five, and nine, and the third player shoots four, seven, eight, and 10. Meleeing the miniature Nessy creatures won’t count, though. Instead, you’ll have to equip a weapon to shoot them. While the map above will get you close to the corresponding Nessy, they can be difficult to find. One helpful tip to keep in mind is that each Nessy spawns in water and not on land. Another thing to keep in mind is that most Nessy creatures sit near respawn beacons. So, if you’re still having a difficult time finding each of the 10 Nessy creatures, look for them in patches of water or near the closest respawn beacon on the map. 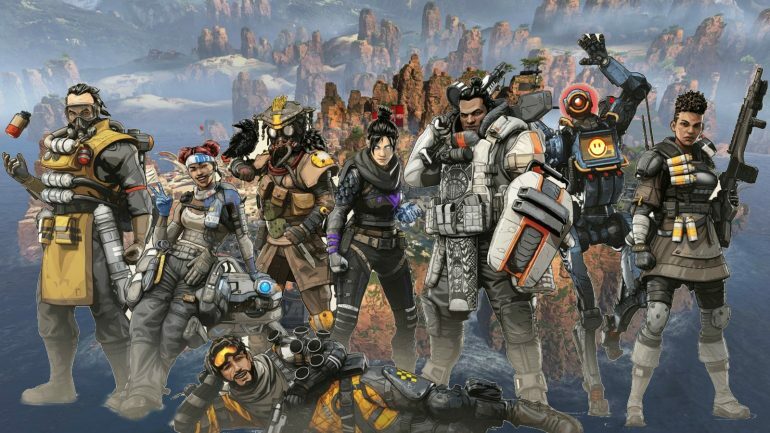 While the connection between Nessy and the world of Apex isn’t fully known, maybe this is one way Respawn Entertainment is hinting that a future Legend will be Nessy itself.